This European estate home offers every amenity! With a stone and stucco exterior, clipped gables, and an arched entryway, The Palmeri blends Old World style with a modern floor plan. A spacious 3-car garage leads to a mud room and large utility area perfect for household chores. The huge gourmet kitchen includes a convenient â€œe-space,â€ reach-in pantry and elegant curved breakfast nook. The adjacent family room offers casual living space for socializing and relaxing, with a fireplace and access to the large covered rear patio. The two-story great room displays a grand, curved staircase and the dining room with coffered ceiling offers formality. The spacious master suite includes dual walk-in closets, dual vanities and a unique curved bathtub flanked by columns. A flexible study/bedroom completes the first floor. 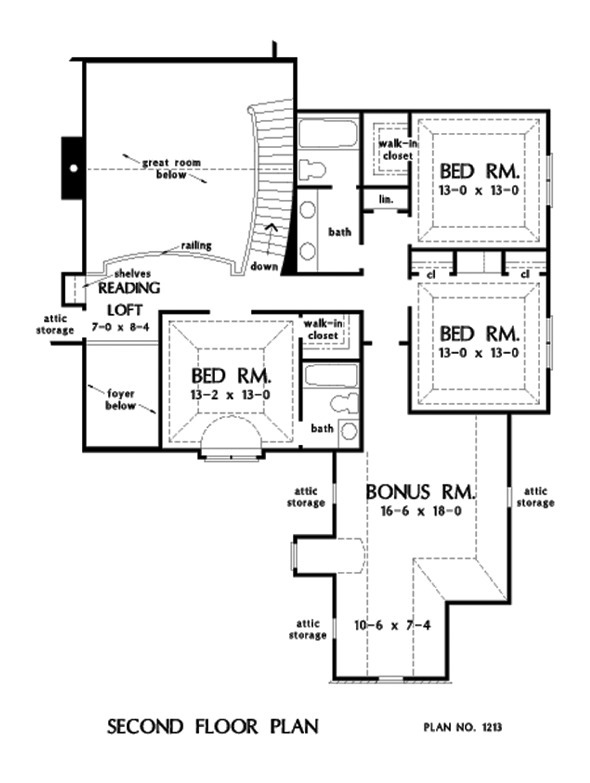 Upstairs, find a cozy reading loft and three more bedrooms, each with a tray ceiling and plenty of closet space. 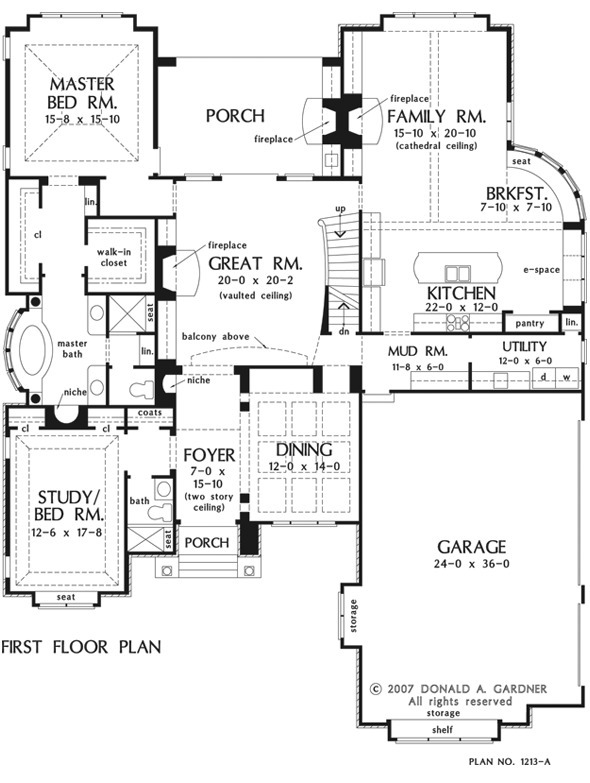 1st Floor: 2798 Sq. Ft.
2nd Floor: 1035 Sq. 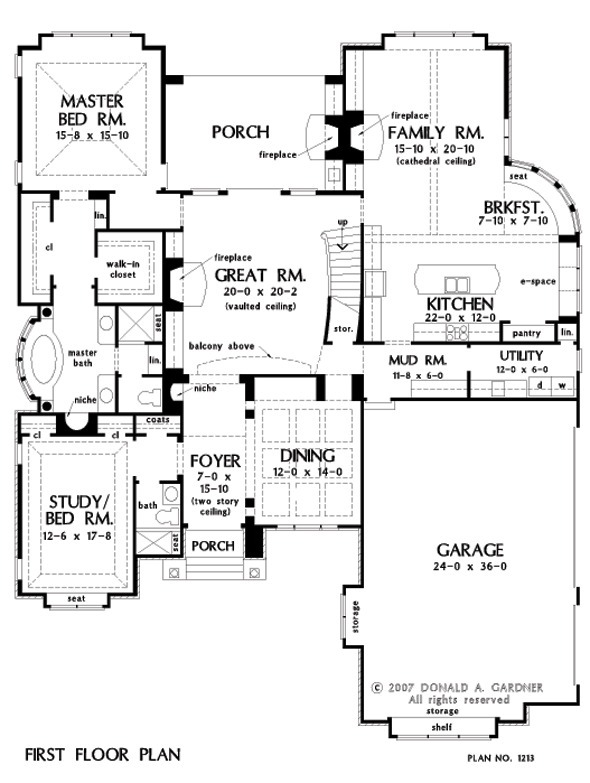 Ft.
House Dimensions: 63' 7" x 79' 4"
Great Room: 20' 0" x 20' 4"
Bedroom #3 (Tray): 13' 2" x 13' 0" x 11' 9"
Bedroom #4 (Tray): 13' 0" x 13' 0" x 10' 5"
Bedroom #5 (Tray): 13' 0" x 13' 0" x 10' 5"
Bedroom / Study (Tray): 12' 8" x 17' 8" x 12' 11"
Bonus Room : 16' 6" x 18' 0" x 9' 0"
Breakfast Room : 7' 10" x 7' 10" x 10' 0"
Dining Room (Coffered): 12' 0" x 14' 0" x 10' 0"
E-Space : 2' 0" x 8' 4" x 10' 0"
Family Room (Cathedral): 16' 0" x 21' 0" x 17' 6"
Foyer (2 Story): 7' 0" x 15' 10" x 0' 0"
Garage : 24' 0" x 35' 10" x 0' 0"
Garage Storage : 11' 8" x 1' 10" x 0' 0"
Great Room (2 Story): 20' 0" x 20' 4" x 0' 0"
Kitchen : 22' 0" x 12' 0" x 10' 0"
Loft / Study : 7' 0" x 9' 0" x 9' 0"
Master Bedroom (Tray): 16' 0" x 16' 0" x 14' 1"
Mud Room : 11' 8" x 6' 0" x 10' 0"
Porch - Rear : 20' 0" x 13' 0" x 13' 0"
Porch - Front : 7' 0" x 3' 4" x 13' 6"
Storage (1st Fl.) (Sloped): 3' 4" x 3' 0" x 0' 0"
Storage (Other) : 2' 0" x 6' 6" x 0' 0"
Utility Room : 12' 0" x 6' 0" x 10' 0"